Chopping kindling takes a while, and it’s usually hard on your back as you spend most of the time picking up the pieces. 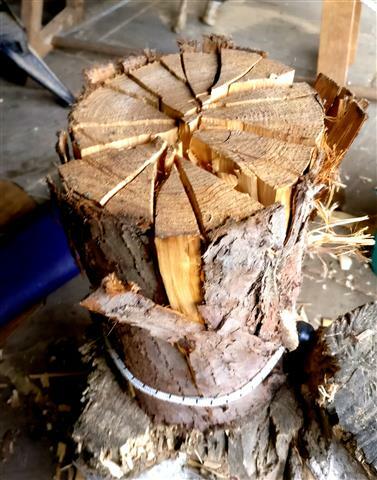 Simply put some elastic around the log, then you can keep chopping without stopping! Safer for your fingers and much quicker.